It can be hard to know how to help tiny babies when they’re suffering through needle sticks and injections, so it’s heartening news that a special cuddle combo really can help ease the pain. Reuters tells us that researchers looked at 80 healthy three-day-old infants who were undergoing a needles stick procedure in their heel. They gave the babies one of four different types of pain relief: sugar water while they were on a changing table; pumped breast milk while they were on a change table; sugar water while they were held by their mothers; or breastmilk directly from their mums. They then monitored the babies expressions and tracked changes in oxygen levels in their brains (via a non-invasive method.) These brain changes help indicate pain responses and reactions to pain relief. The study found that having a cuddle combined with a comforting drink made babies feel better more quickly. “Clinically, mother’s lap, in combination with either glucose or breastfeeding, provided better analgesia than expressed breast milk and glucose alone,” senior study author Dr Sergio Demarini of the Institute for Maternal and Child Health at IRCCS Burlo Garofolo in Trieste, Italy told Reuters. 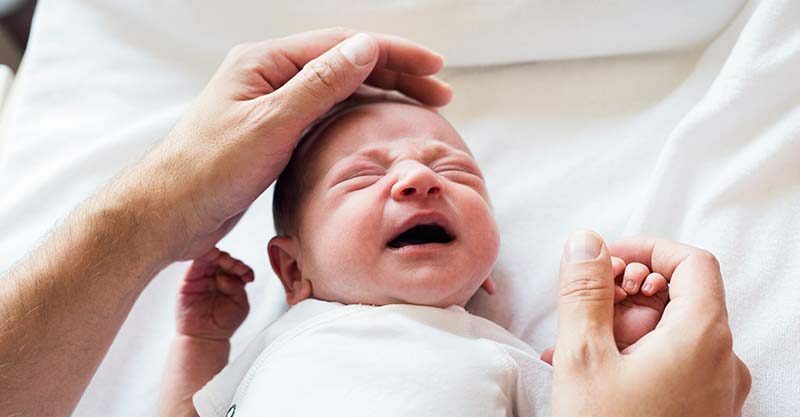 Methods of pain relief that helped tiny babies to feel better included breastfeeding, sugar water, swaddling infants in blankets and skin-to-skin contact with their mothers. The study also tells us that different types of pain relief are processed differently by the brain. For instance, “breastfeeding is associated with a widespread activation of the cerebral cortex with positive feelings that may overwhelm any pain from the heel stick, so infants show little if any sign of pain,” Dr Demarini told Reuters. So while breastfeeding is a brilliant way to ease a baby’s pain, when it’s not possible cuddling a baby and administering sugar water shortly before and after a painful injection or needle stick can also be really soothing. Snuggle up, mums and dads!